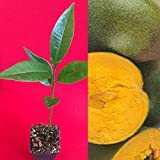 Canistel growing tree of the genus Pouteria also known as Pouteria campechiana, Canistel perennial evergreen plant use for the edible fruits but also as ornamental plant, can grow in tropic, mediterranean or subtropical climate and growing in hardiness zone 10+. Flower color is green size of 0.5-1 cm. Fruit yellow or orange sometimes with dots on the rind, fruit not juicy the structure powdery remind Batata or Lucuma, the taste is sweet, the shape oval or egg shape sometime with sharp in the bottom. 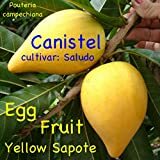 What can be done with big quantities of Canistel fruits?